Blogging is certainly not what it once was but Blogger is the Blockbuster Video of blogging sites. There are no community building tools at all. You publish it and you try to grow a following on a site like Twitter which has plenty of its own problems. And, I've done myself no favors on Twitter by not sharing my blog to my main account. I feel, maybe stupidly, like I would be spamming people if I did. With Wordpress, you get a built-in community but a lot of the interaction there was spam when I was on there in the past. With Tumblr, well, let's face it - they're not much better off than Blogger but it doesn't feel as empty as this place does. So, then what? Do I pick up this site and head off somewhere else or do I keep plodding along and maybe if I build it, they will come? Who knows. 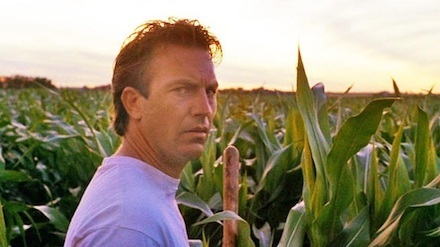 I'm just starting to get tired of standing out in this cornfield all by myself.